Through the Farny R. Wurlitzer Foundation Fund, the DeKalb County Community Foundation provides grants to nonprofit and community organizations throughout the greater Chicagoland area involving music education. Funding support is made possible through a Community Foundation donor advised fund established by the Farny R. Wurlitzer Foundation in 2012. Preference is given to 501(c)3 organizations. Applications for Wurlitzer Foundation Fund Grants are accepted during two grant periods each year. Applications are due by midnight on March 1 or September 1 and become available two months prior to the deadlines. All applicants should review the Wurlitzer Foundation Fund Grant guidelines prior to applying. For questions or more information, please contact Arts & Culture Consultant George Buck at george@dekalbccf.org. The slogan for The Wurlitzer Company at one time was….’the name that means Music to millions’. The Company began in the United States in 1856 and was primarily known for its production of premier pianos and organs – both pipe and electric. At one time Wurlitzer was the largest musical instrument company in the U.S. Perhaps you have a Wurlitzer piano in your home? The company owned retail music stores in most major cities from the 1930’s through the 1980’s, with primary manufacturing locations in DeKalb, IL; North Tonawanda, NY; Cincinnati, OH; and West Germany. Although the company went out of business in the mid-1980’s, the Wurlitzer name has endured – currently owned by the Gibson Guitar Company. The Farny R. Wurlitzer Foundation was established in the 1940’s by Farny and his wife Grace. Farny, who died in the early 1970’s, was the last family member involved with the company. The Foundation began with a mission and focus of providing financial assistance to further music education and performance. The majority of its grantees were in the mid-west, but some support went to other parts of the U.S. In 2011 the Wurlitzer Foundation Board of Directors began exploring ways to maintain the Foundation’s existence in perpetuity. This led to dialogue with the DeKalb County Community Foundation and the perfect solution. Near the end of 2012, the Farny R. Wurlitzer Foundation converted its operations to become a Donor Advised Fund within the Community Foundation. Private foundations often find many administrative benefits operating under the structure of a Community Foundation, while continuing to enjoy its grantmaking role in the community. The Farny R. Wurlitzer Foundation Fund’s creation constituted a 15% increase in the Community Foundation’s total assets and will add about 25% to its annual grant and fund distribution total. 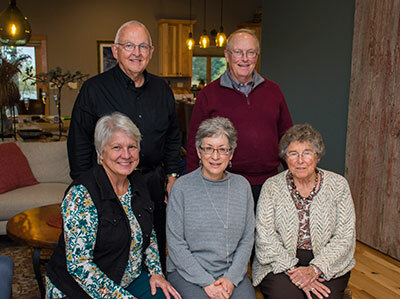 Since Charlie and Mary Roberts began the DeKalb County Community Foundation in 1993, this is the single largest gift in the Foundation’s history. Another unique element of this partnership is that the Wurlitzer Foundation’s Board of Directors requested that their assets remain invested with the First Midwest Bank (National Bank & Trust Company) in Sycamore. The Community Foundation Board honored that request, allowing for a locally invested pool of assets for the Community Foundation that can grow with on-going contributions. Each application is reviewed and approved by the Wurlitzer Foundation Fund Board of Advisors. The Community Foundation is honored to keep the Wurlitzer name alive in DeKalb County by working with the Farny R. Wurlitzer Foundation Fund Board of Advisors to continue to ‘mean music to millions’ through its grant support of projects that are consistent with its original mission. If you would like to support creative arts in your community, or wish to discuss establishing a fund of your own, please contact Executive Director Dan Templin at dan@dekalbccf.org or 815-748-5383.